July 19, 2017, Adrian, Michigan – Sister Suzanne Schreiber, OP, an Adrian Dominican Sister, photographer, and teacher, will speak on “The Art of Käthe Kollwitz” (1867-1945), a German expressionist who used her art to respond to the social evils of her time. Sister Suzanne’s talk – at 9:30 a.m. Thursday, July 27, in the Common Room at Weber Retreat and Conference Center – is free and open to the public. Her talk will be followed by a panel discussion. The address is the keynote for the Dominican Institute for the Arts (DIA), an organization of Dominican Sisters, Friars, Associates, and Laity who are involved in all forms of art. Weber Center is hosting the 2017 DIA Gathering, July 26-28. Sister Suzanne will speak on Kollwitz’s artistic response to injustices, ranging from the two world wars, the Industrial Revolution, and the rise of Adolf Hitler. Her art makes visible the suffering of people who faced hunger, unemployment, war, and death. 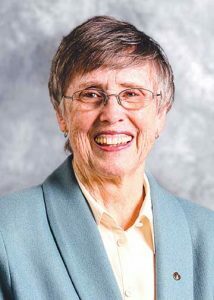 A native of Detroit, Sister Suzanne has taught religious studies, photography, and art and has served as a campus minister and the coordinator of adult faith formation at a Catholic parish. Her photographic projects have included Stations of Recovery for seven hospital behavioral health units of Catholic Health Partners in Cincinnati and documentary photos for the Capuchin Soup Kitchen Art Program and the Dominican Literacy Center, both in Detroit. Weber Center is located on the campus of the Adrian Dominican Sisters Motherhouse, 1257 E. Siena Heights Drive, Adrian.